Eleventh English language studio album by the Canadian singer. 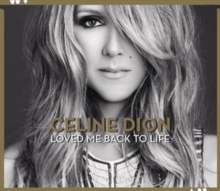 Featuring the single of the same name, 'Loved Me Back to Life' debuted at #3 in the UK Albums Chart. This deluxe edition includes two bonus tracks.